In this study, chicken eggshell particles (ESPs) were used as a biofiller to fabricate epoxy-based biocomposites. 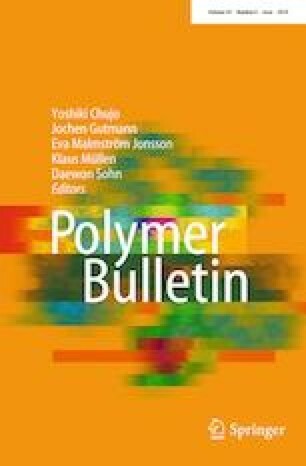 The purpose of using these waste-based particles was to find their suitability to be used as low-cost biofillers for epoxy-based composites. The samples were fabricated by a solution-casting method. A special steel-cast metal mold was used to fabricate the composites. The ESPs were loaded into the epoxy with amounts of 5, 10, 15 and 20 wt.%. An amine-based curing agent was used for the curing process. The samples were characterized for the mechanical (tensile, flexural and impact), thermal (TGA and DSC), structural (FTIR and XRD) and morphological (SEM) properties. Result analyses showed that 15 wt.% of ESPs was the optimum loading for the better properties of the composites. Therefore, the properties of the ESPs-based epoxy composite were compared with the inorganic CaCO3 -based composite at a similar amount of filler loading (15 wt.%). Results showed that the addition of fillers decreased the tensile strength of the composites than neat epoxy, whereas tensile modulus was increased. The flexural strength of the composite was increased at the loading of 15 wt.% of ESPs, but it was decreased for the composite prepared with CaCO3 at the same amount. Overall, the ESPs showed better properties than CaCO3, and they can be used as an ecological, environmentally friendly and low-cost alternative of some inorganic fillers.